William has been involved in music and theatre his entire life. As the youngest of a large family who were all musically inclined, he spent his youth singing and performing with his siblings in impromptu plays, musicals and choirs. 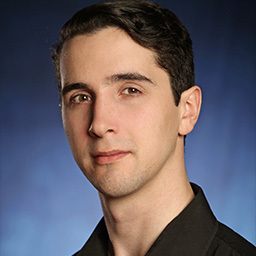 While studying at Sydney University, William soon realised his degree was merely supplementing his passion in theatre, so he took a semester off university and explored his interests further. 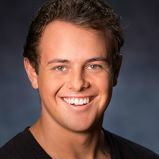 After transitioning from onstage as a performer to having an interest in the conceptual work behind creating musicals, William followed this passion into NIDA, with the aim of becoming a producer and creating new Australian musicals. NIDAʼs teaching model has helped to give William a well-rounded understanding of all aspects of theatre. It has provided him with a stable platform to launch his theatre career with confidence and a set of skills that are of benefit to his work in the industry. In his final year, William has seconded in the production department of the NSW Schools Spectacular 2017 and Sydney Theatre Companyʼs Dinner. A highlight this year was when he travelled to London for 12 weeks as the Assistant Producer of the West End premiere of Speech and Debate at Trafalgar Studios. William hopes to work internationally in theatre management, production management, producing and design; lending his skills to create amazing musicals and plays. Saxon grew up in a small country town called Leeton. When he came to his mother at the age of eight and told her that he wanted to be an actor, she said: ‘Maybe one day you will go to NIDA’. Well, that stuck. Various productions such as Peter Pan and Grease took him from childhood through to teenage years.